Stony Brook University Hospital is the only adult/pediatric Level I trauma center in Suffolk County with verification from the American College of Surgeons (read more). Our trauma team provides around-the-clock coverage of the emergency room (ER), and cares for patients requiring emergency surgery. Our trauma surgeons and intensivists (left to right): Drs. Daniel N. Rutigliano, Michael F. Paccione, Steven Sandoval, and James A. Vosswinkel (not pictured are Drs. Polikseni Eksarko, Randeep S. Jawa, Jerry A. Rubano, and Marc J. Shapiro). Our surgeons are fellowship trained in trauma surgery and critical care, and are board certified in surgical critical care. Our trauma surgeons specialize in surgery for all types of traumatic injuries, including penetrating trauma (gunshot/stab wounds, nail punctures) and blunt trauma (injuries from falls, motor vehicle collisions, sports), as well as for acute surgical disease involving the abdomen, such as appendicitis, inflamed gallbladder, bowel obstructions, and incarcerated hernias. Our trauma team coordinates the initial evaluation and treatment of all injured patients transported by ambulance or helicopter to the Shock Trauma Unit in our ER. To provide the best possible emergency care, specialty consultation is available 24 hours a day in neurosurgery, cardiothoracic surgery, orthopaedic surgery, pediatric surgery, plastic surgery, and dental and maxillofacial surgery. The victims of major burns receive highly specialized emergency care in the Suffolk County Volunteer Firefighters Burn Center at University Hospital, whose staff works closely with the trauma team. Our surgical critical care team provides state-of-the-art advanced tertiary medical care to critically ill adult patients admitted to University Hospital's 20-bed Surgical Intensive Care Unit. Our SICU offers ventilatory management using all modalities of respiratory support, including positive end-respiratory pressure, high-frequency ventilation, intermittent mandatory ventilation, pressure supported ventilation, and pressure controlled ventilation. It also offers cardiac monitoring and management, including vasoactive drips, invasive monitoring, and continuous oximetry. The SICU team manages the critical care of pre- and post-operative patients from all of the hospital's surgical services, except for the cardiovascular and pediatric services which have their own ICU's. Our critical care specialists are also available to provide consultation for all types of surgical patients, including general surgery, trauma, orthopedics, neurosurgery, vascular, and transplantation. 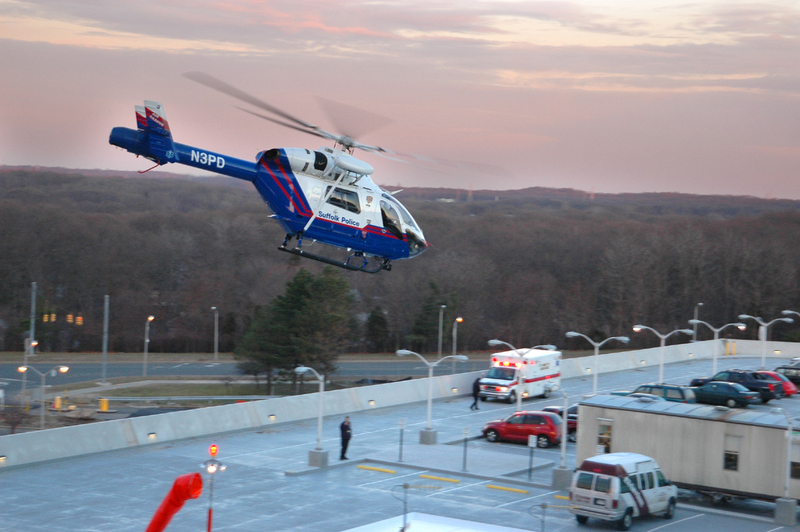 Learn more about Stony Brook Trauma Center and why it's the place to go for the highest level level of trauma care.